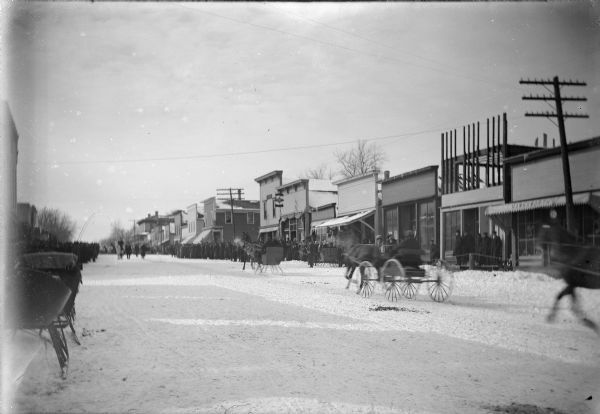 View of horse-drawn carriages and sleds racing down a snowy street lines with storefronts. A large crowd is in the distance. The back of the photograph reads: "Farmer's Course, Street View."